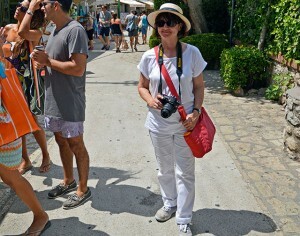 Anne Vipond, author of Mediterranean By Cruise Ship, returned from her recent 12-day Mediterranean cruise from Venice to Barcelona on Holland America’s Nieuw Amsterdam. It was a port-intensive cruise with lots to see and experience. Join Anne on this first port short as she gives viewers an outline of the itinerary of this exciting voyage. The Mediterranean is a fascinating region of Europe. A highway of trade for thousands of years, the Mediterranean Sea brought about exchanges of culture and knowledge. 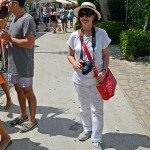 Italy was the epicenter of this social and cultural enrichment and is the focus of this cruise. Map showing ports of Med cruise between Venice and Barcelona. Martin reports from Constanta on a very cloudy day. Martin’s cruise of the Black Sea included the fascinating port of Constanta in Romania and once a stronghold of the Byzantine Empire. 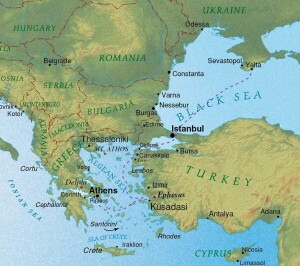 Map from Mediterranean By Cruise Ship of portion of the Black Sea. Constanta, Romania’s main seaport and a popular seaside resort, began as a Greek colony called Tomi, and became Ovid’s place of exile in the 1st century AD. Ovid, wrote his final works at Tomi. In the 4th century, Constantine the Great changed the city’s name to Constantiana. Captured by the Turks in 1413, the port city became part of Romania in 1878. 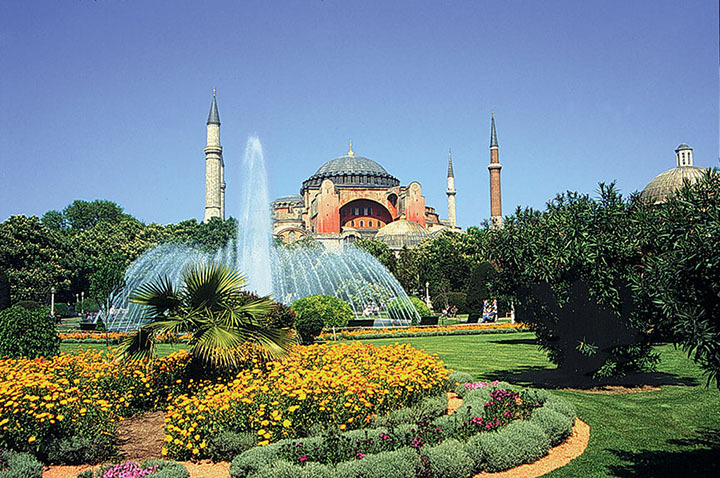 Local sights include an Orthodox cathedral, several museums and extensive Roman and Byzantine remains. An excursion into Bucharest, Romania’s largest city, takes visitors into the heart of Walachia. The ‘bread basket’ of Romania, the principality of Walachia was founded in the late 13th century when the Mongol wave receded and local inhabitants descended from their mountain refuges. Vlad IV, who ruled Walachia in the mid-15th century, maintained order by sentencing 20,000 people to death in the space of six years. His practise of impaling Turkish prisoners earned him the name Prince Vlad the Impaler and, as the son of Prince Vlad Dracul (Vlad the Devil), he also became known as Dracula or son of the Devil. Bucharest was the residence of the Walachian princes and became the capital of Romania in 1861. Much of the Old City was demolished by President Nicolae Ceaucescu during the 1980s to make room for a model socialist-planned city. Historic landmarks include several churches from the 17th and 18th centuries; the Museum of Romanian History was built during Ceaucescu’s dictatorship. 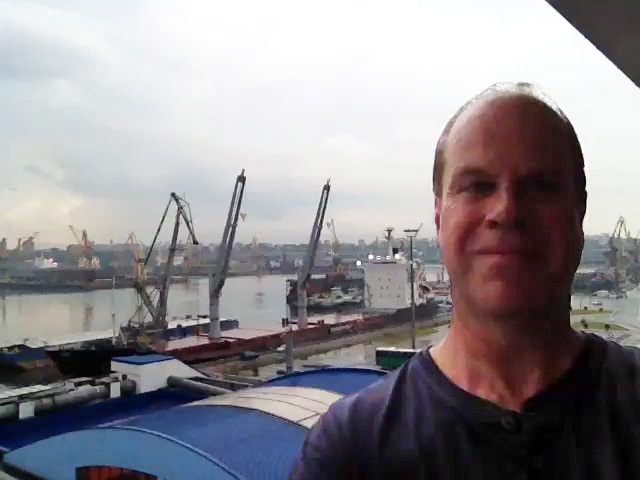 Our port short reporter Martin Gerretsen in Odessa. With tensions running high between Western nations and Russia over the situation in Crimea, some cruise lines have already announced changes to their current Black Sea itineraries with most of the Crimea ports being removed. 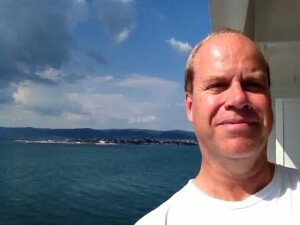 Martin’s Black Sea cruise last year went to some of these ports, such as Yalta and Sevastopol, as well as Odessa in the Ukraine. We are featuring this beautiful and historic port as some cruise lines are keeping this city on their itineraries for now. 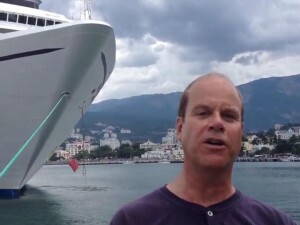 Visits to other Black Sea cities such as Constanta in Romania, and Nessebur and Varna in Bulgaria, are so far being retained or added to the cruise lines itineraries. Martin’s Port Short from Sochi, Russia which he visited late last year on an exciting Black Sea Cruise. There are a few caveats to visiting Russia which Martin talks about. 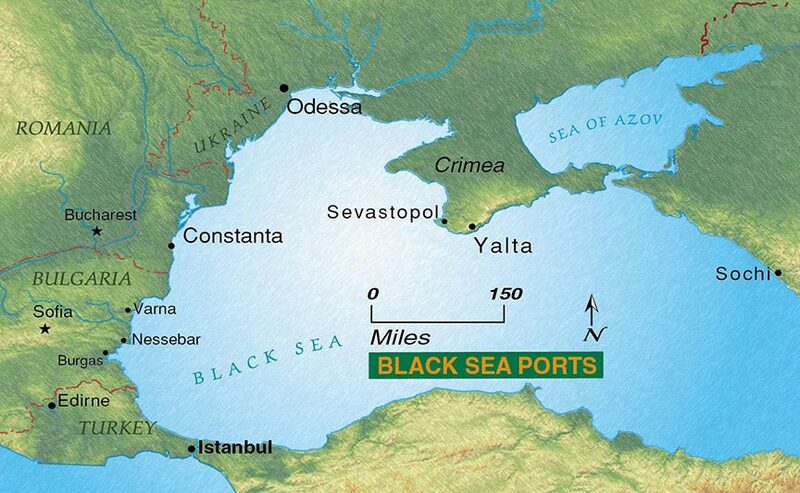 We’ve included a map of the Black Sea showing Sochi on the its east coast. Martin Gerretsen’s port short from Yalta on the Crimea Peninsula. Martin Gerretsen’s cruise to the Black Sea on the Seven Seas Mariner included the ancient ruins of Ephesus in Turkey before their ship continued along the Dardanelles past Gallipoli and on to the Marmara Sea past Instanbul and finally through the Bosphorus into the Black Sea. Map showing the western half of the Black Sea. Today he takes us to the famous port of Yalta, where the Allied leaders met in February 1945 to discuss post-war Europe. Yalta, part of Crimea, is a beautiful sub-tropical port and part of most Black Sea itineraries. 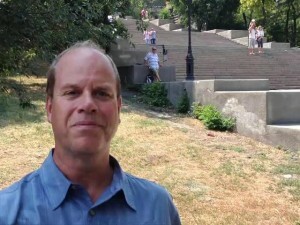 Martin Gerretsen reports from Athens. We’re back with an excellent Port Short from Martin Gerretsen. We have a series of great ports to hear about from Martin’s cruise from Athens to the Black Sea. These include a report from the port of Sochi, Russia. 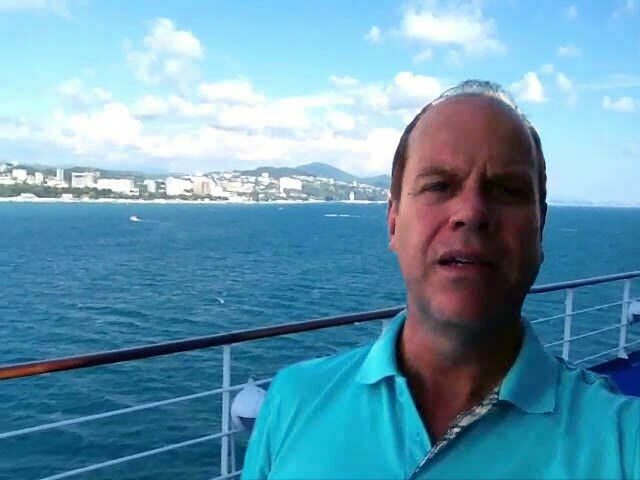 Martin begins from his first port of Athens with our map showing the start of the cruise from this port and on to the ancient Greek ruins of Ephesus, the Black Sea and the fabulous city of Istanbul. Click on map for large view. 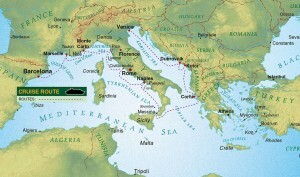 Map of Eastern Mediterranean showing start of Martin’s cruise. Athens is a sprawling metropolis of over three million people and is one of Europe’s most affordable cities. Its major historic sites are situated right in the downtown core, within walking distance or a short taxi ride of one another. The heart of Athens is pedestrian-friendly, with traffic restricted inside the commercial centre. Transportation improvements were made in and around Athens in preparation for the 2004 Olympics. The new international airport is located at Spata, about 18 miles east of the city centre, and is connected by a six-lane highway and a rapid transit rail line, the latter providing 20-minute connections. Taxi fares are relatively cheap compared to the rest of Europe, but not all drivers can speak English. Have the name and address of your destination written on a piece of paper and confirm the fare beforehand. If you’re setting off from an Athens hotel, ask the concierge to arrange a taxi for you. Expect a luggage surcharge. If you are making same-day connections between a flight into Athens and a cruise, you are well advised to arrange for a transfer with the cruise line. 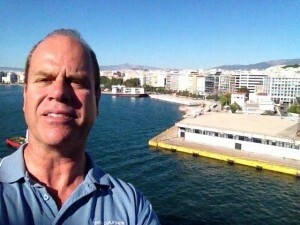 Connections between downtown Athens and the port of Piraeus (a distance of six miles) can be made by taxi (6 to 9 euros, depending on traffic and amount of luggage) or on the subway system. The green subway line (No. 1) connects the port with Monastiraki Square in downtown Athens. If you plan to return to the port by taxi after a day of sightseeing in Athens, be sure to allow at least an hour in case the traffic is crawling. 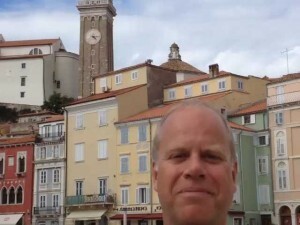 Dr. Martin Gerretsen reports from Kotor. 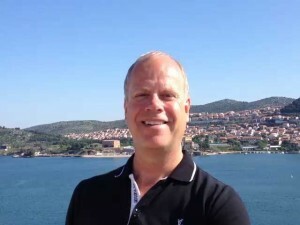 Martin Gerretsen reports from Kotor in Montenegro. 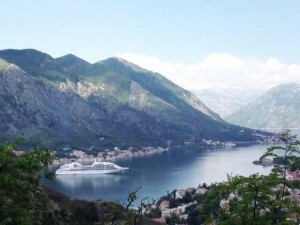 This small country is just south of Croatia, Kotor being about 60 miles below Dubrovnik, another popular stop for cruisers.